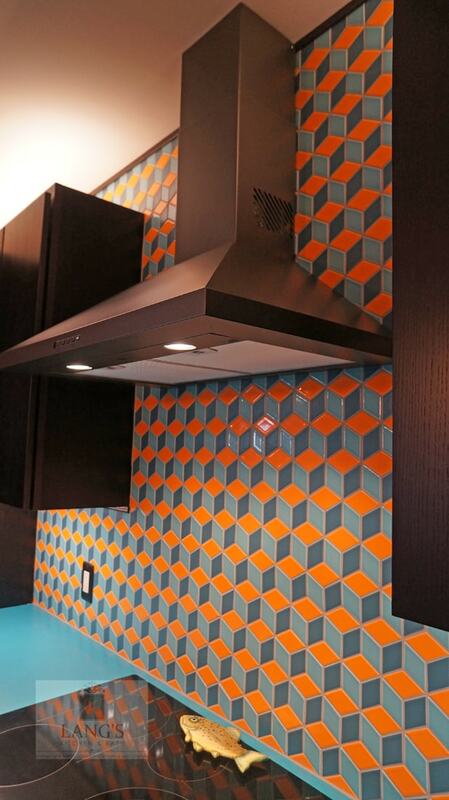 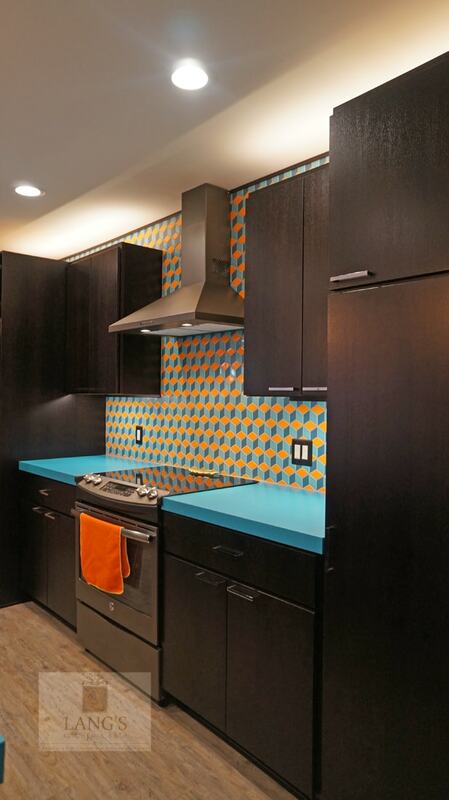 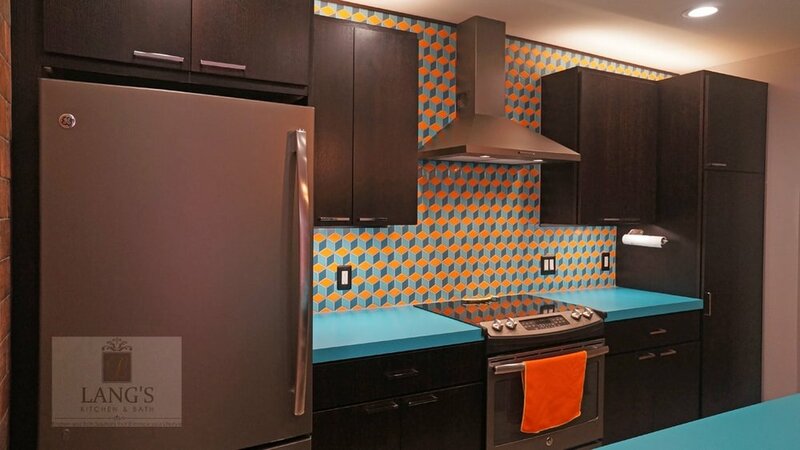 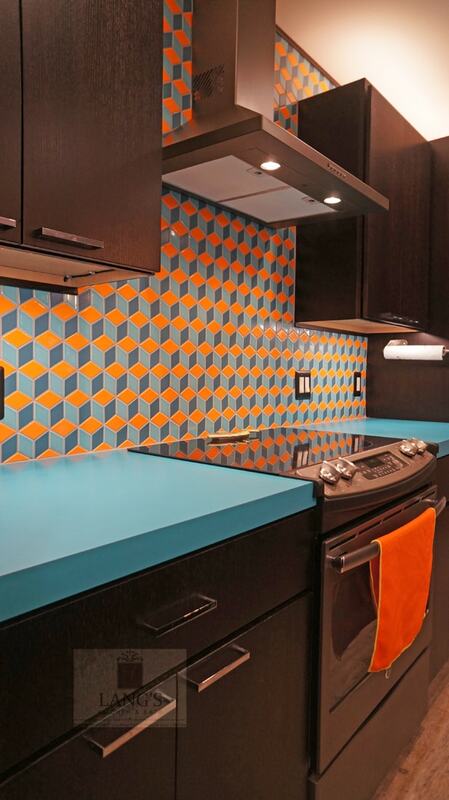 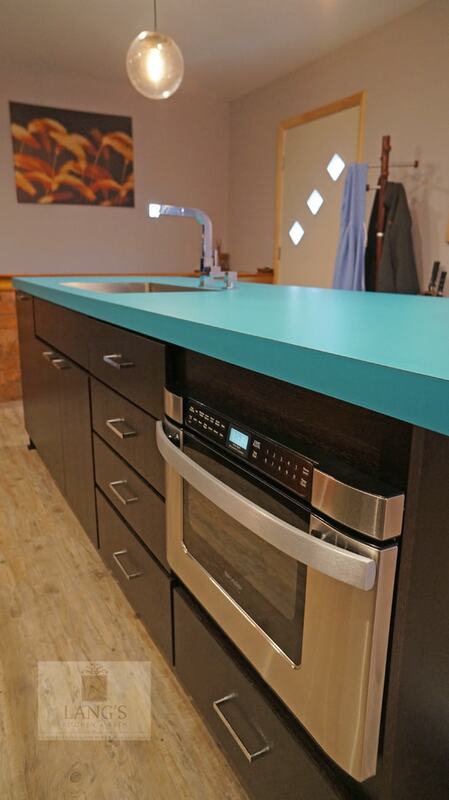 This dynamic kitchen design is one-of-a-kind with a blue laminate Wilsonart countertop and Clayhaus Ceramics 3-dimensional backsplash as the centerpiece. 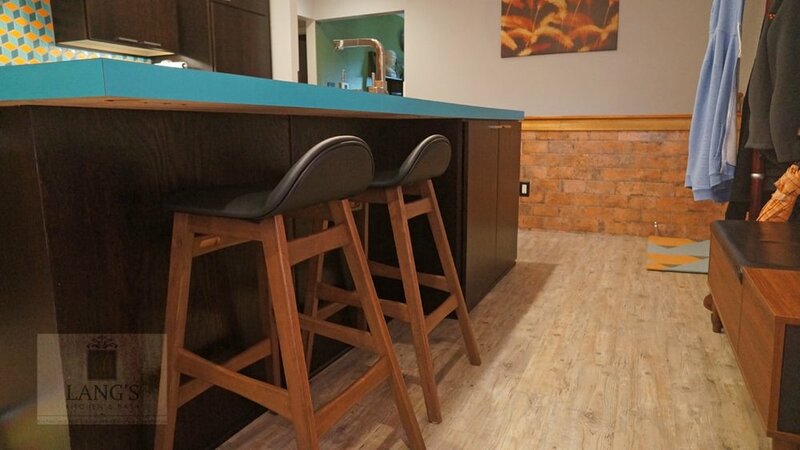 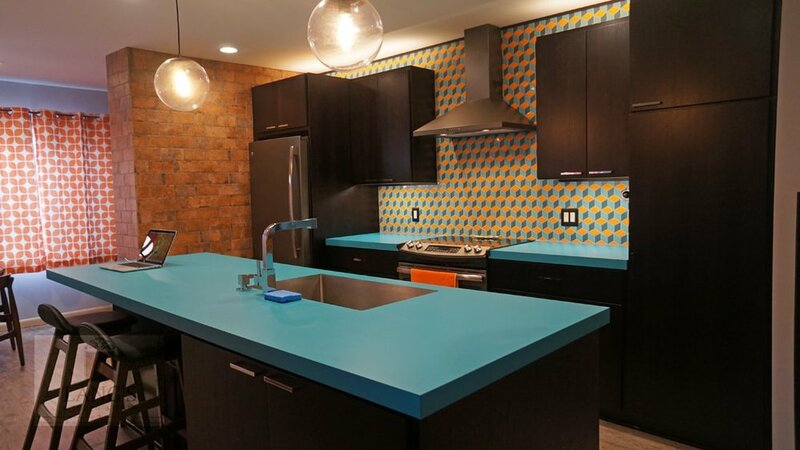 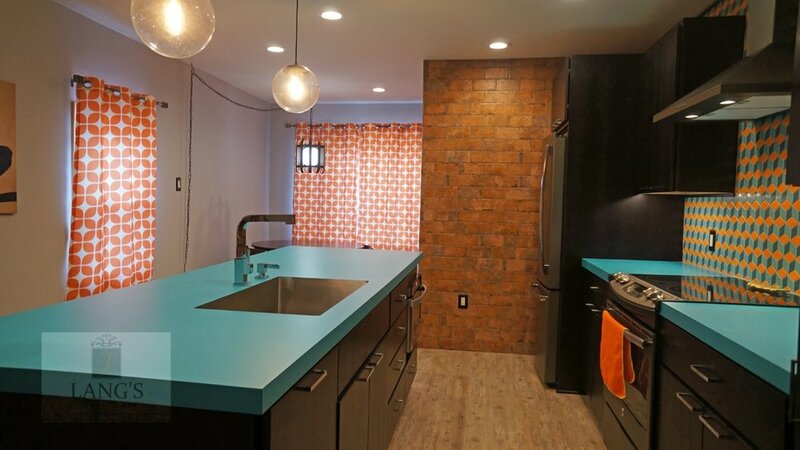 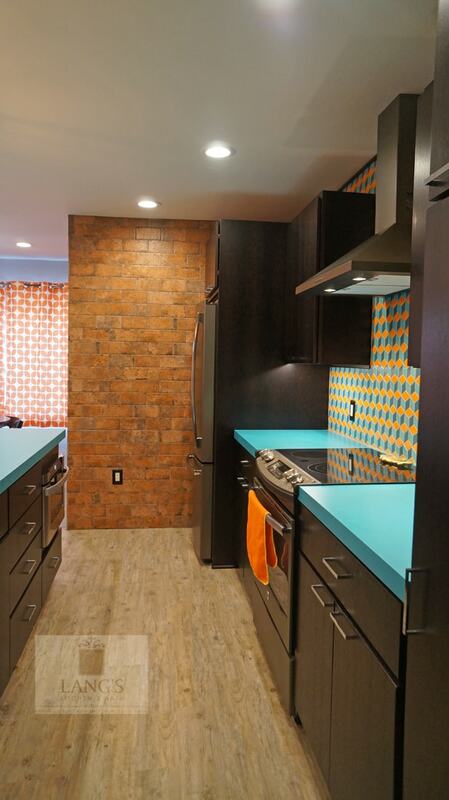 This is beautifully offset by contemporary, dark wood, slab panel Koch kitchen cabinets, a brick wall that brings a mid-century vibe to the design. 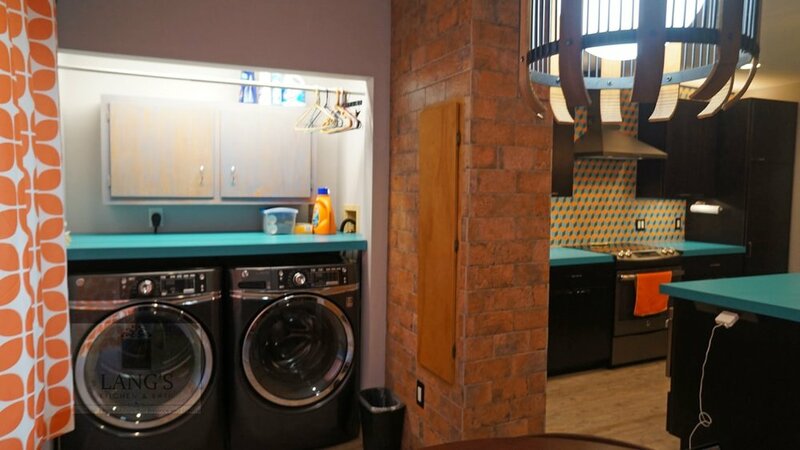 The layout includes seating at the island and the kitchen table, as well as a laundry alcove separated by a brick dividing wall from the main kitchen.